The NSA spied on Israel despite a US pledge to curtail surveillance of ally states, revealing how the Israelis lobbied US lawmakers to reject the Iranian nuclear deal. The snooping also reportedly eavesdropped on some members of Congress’ private talks. According to the Wall Street Journal, the spying has been ongoing during President Barack Obama’s two terms and continued unabated even after Edward Snowden’s surveillance revelations in 2013. Following the scandal, the Obama administration composed a so-called protected list, shielding close allies from surveillance, including countries such as Germany or France. However, despite close ties, Israel was not included and was, instead, made the NSA’s top surveillance priority, along with Turkey. “Going dark on Bibi? Of course we wouldn’t do that,” a senior US official told the Journal, using Israeli Prime Minister Benyamin Netanyahu’s nickname. President Obama approved of spying on his Israeli counterpart because it served a “compelling national security purpose,” current and former US officials told the WSJ. The new report is based on more than two-dozen interviews with both intelligence and administration officials. As a part of the surveillance, the NSA eavesdropped on communications between Israeli and US lawmakers amid efforts to reach a nuclear deal with Iran. Specifically, the efforts of the Netanyahu government to turn legislators against the negotiations and convince them to block the emerging agreement were revealed, the article said. It was also discovered that Netanyahu and his advisers leaked details they had learned of though Israeli intelligence concerning the US-Iran negotiations, and coordinated talks with Jewish-American groups against the deal and tried to influence votes of undecided US lawmakers. 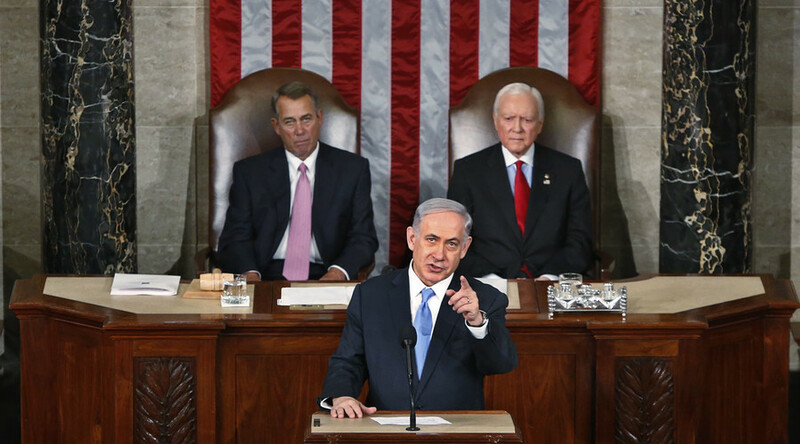 The US managed to capture communications between Netanyahu and his aides, which led to mistrust between Washington and Tel Aviv and created a politically sticky situation when the Israeli leader spoke to Congress in an attempt to push through his anti-Iran message. The White House believed that the intercepted information could be worthwhile in countering Netanyahu’s efforts. Yet, the WSJ reports, it was clear that asking for it directly would be “politically risky.” To avoid “a paper trail stemming out from a request,” the White House left it to the NSA to decide what information should be either shared or withheld. However, this is when the NSA realized it was also sweeping up some conversations the Israelis were having with US lawmakers and American-Jewish groups. “That raised fears—an ‘Oh-s— moment,’ one senior US official said—that the executive branch would be accused of spying on Congress,” the WSJ writes. The White House did not ask the NSA to identify any of the lawmakers caught in the surveillance. “From what I can tell, we haven’t had a problem with how incidental collection has been handled concerning lawmakers,” Representative Adam Schiff, a California Democrat and the ranking member of the House Permanent Select Committee on Intelligence, told the WSJ. When reached for comment, government officials representing Israel, Germany, and France declined to speak to the Journal, as did the Office of the Director of National Intelligence and the NSA.